As the summer transfer window approaches, players are starting to make some moves in order to land at the desire club for next season. The latest reports are from Germany where Henrikh Mkhitaryan has rejected a new deal at Borussia Dortmund. The Bild newspaper today reported that Mkhitaryan has rejected a new deal at Dortmund. After Gundogan's departure, the German club have suffered another setback as their squad continues to weaken. Following the news in German media, various clubs are on alert and Arsenal have already been linked with a move. The understanding at the moment is that Arsenal officials are negotiating with his agent Mino Raiola, who is "looking at his options". Our brief talk with Mino Raiola also revealed that Mkhtiryan has already refused a deal with Juventus, while he has already held talks with Manchester United. The same was later confirmed by the Italian newspaper, Tuttosport. The outcome of his meeting with Man Utd officials is still not clear. Mkhitaryan has been an Arsenal fan since he was seven and always dreamed of playing under Arsene Wenger. Considering he wants to live and play in London, Arsenal seems to be a likely destination for the Armenian. Tottenham and Chelsea are also monitoring the situation but according to German media, Arsenal are currently the front runners along with Manchester United. 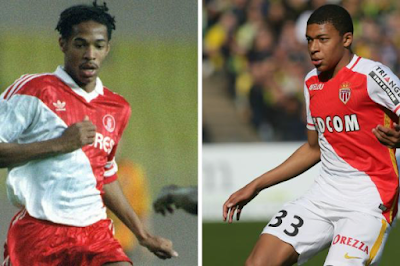 Will Kylian Mbappe be the next Thierry Henry? TGT is in no way affiliated, linked or authorised with Arsenal Football Club, and any similarities that there may be are purely coincidental.